When you’re in San Diego, there’s always a massive party, but once Cinco de Mayo rolls around, it’s that much better. Everyone anticipates this big celebration, and once it finally arrives in town, the streets are buzzing with excitement. Known as one of the top party holidays of the year, CInco de Mayo is all about spending time with your friends, and hitting up the best bars in town. 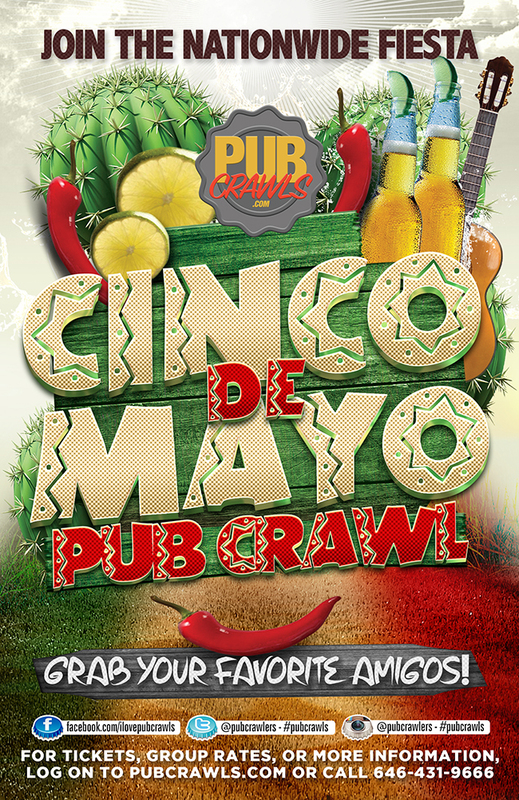 There’s absolutely no excuse for you to be spending your entire night in one bar for a special party holiday like this (even if it’s right around the corner from your place, and has a killer special), so why not get your ticket to the highly anticipated 2013 official Cinco de Mayo PubCrawl of San Diego!